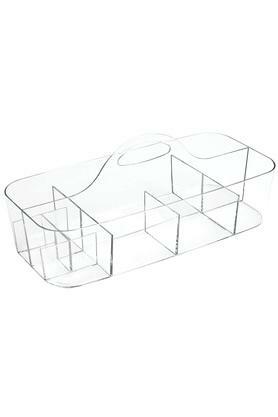 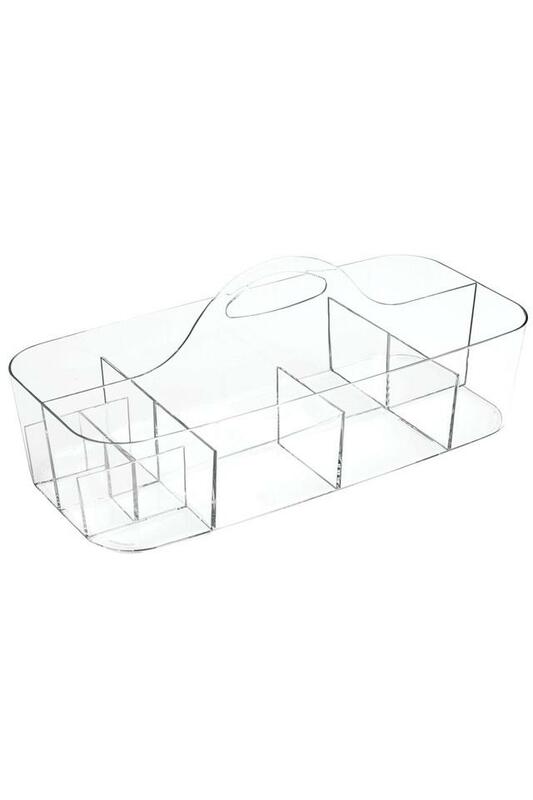 Keep your cosmetics more organised by using this ergonomically designed organizer. 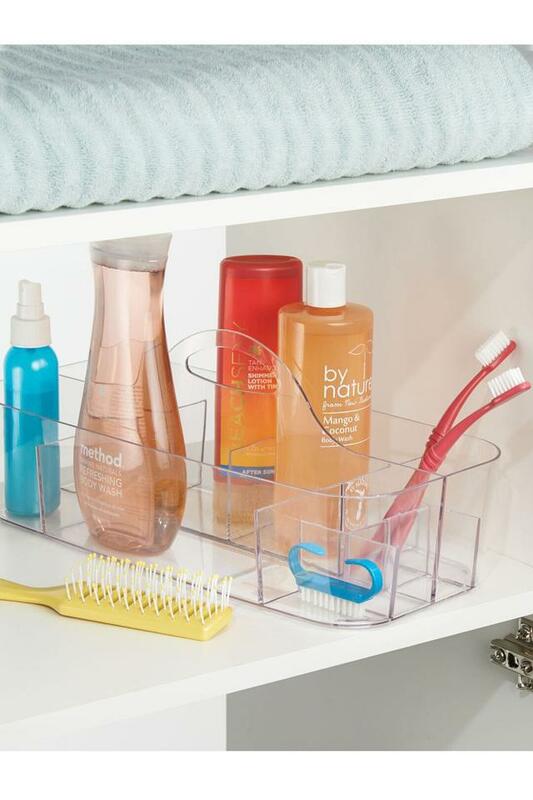 It has been made of clear, durable material that makes it easy to clean and wash. 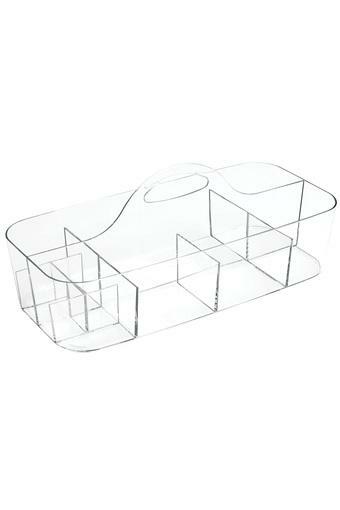 It also comes with a cut out for the handle which makes it quite easy to carry. 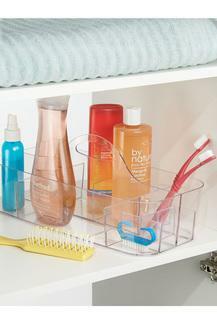 Organise your cosmetics with this storage organizer presented by Interdesign.